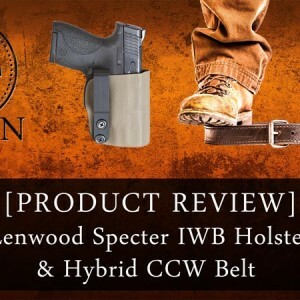 Let’s take a look at the Osborne Holsters TacticalRig IWB + Mag. Now, before I get deep into this review, I have one heck of an apology to make, and a “thank you” that is twice as large. 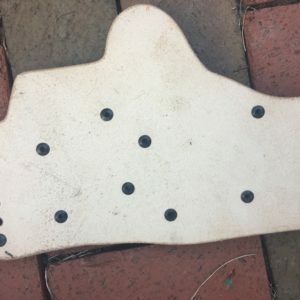 Osborn is a fantastic company, and I let them down. 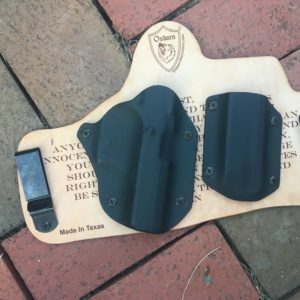 This holster was provided to me an age and a half ago, and I have worn it extensively — but in getting the review to you, the reading public, I flat-out dropped the ball. Until now, anyway, which brings us to the easiest part of the review, and the “SparkNotes” of the piece: buy with confidence when you buy Osborn. These are good people creating quality equipment at quality prices. 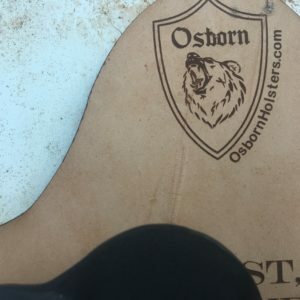 I have, to date, worn four different holsters of theirs, and there’s a reason why I recommend Osborn to my friends first. First, let’s talk quality. 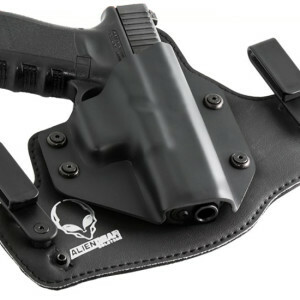 The TacticalRig IWB is one of the first holsters I ever purchased, long before I started writing for this site. I bought a P-64 and couldn’t find a holster I could be happy with for that less-than-common carry piece. 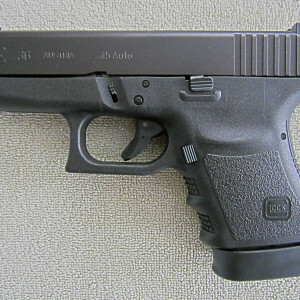 It’s scary how a firearm can disappear on your hip when you’ve got the right firearm in the right holster, carried well. 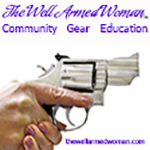 The same is true for the TacticalRig IWB this go-round, where they were kind enough to provide me with a model designed for the Baby Eagle II — I carry a Tristar T-100 and that’s the mold it fits. 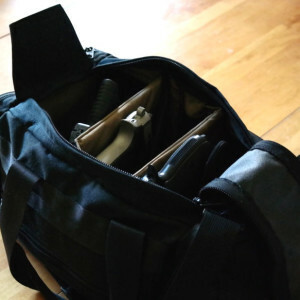 A while ago, I switched from IWB to OWB because although I do own “tactical” pants, I like to make sure that my concealed carry rig can go with as many outfits as possible, and OWB is often more comfortable with pants tight from those 20 pounds I’ve been trying lose for the past 24 years. 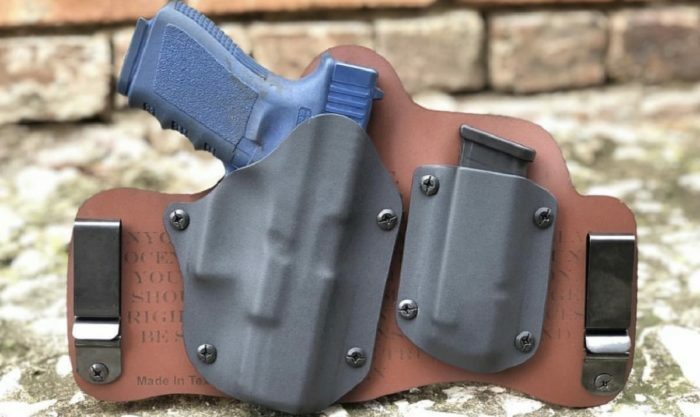 A solid IWB holster can’t magically make your waistline slimmer, but it sure can match the shape of your body to be as non-intrusive as possible. As a point of fact, this is the holster I wore at my wedding. It was that comfy. There are multiple brands that claim their hybrid combination of materials is the combination that will break the Gordian Knot of achieving perfect comfort. I won’t say that Osborn has the perfect combination — every brand, especially in the firearms market, thrives on innovation and little tweaks — but it is the closest I have found thus far. What is that combination? I’m so glad you asked! 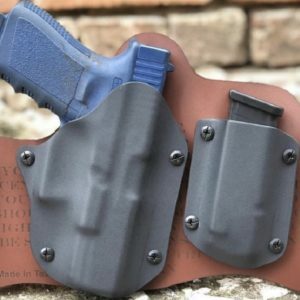 It’s leather and it’s kydex, which for me screams two things: it’s going to fit your body better and better the more you wear it, and the firm purchase and “click” of a kydex holster isn’t compromised. Yep, that’s pretty much it. She’s still pretty. For me, that’s the way to go, which means one thing — and this is one of two drawbacks I perceived with this particular holster. If you’re a sweaty guy like myself, you’re going to sweat a good bit. There’s nothing wrong with that. It’s the trade-off you accept with leather, and it’s one I accept gladly, but it’s worth noting nonetheless. All that being said, Osborn offers a $2.00 moisture barrier. You’re gonna want that. 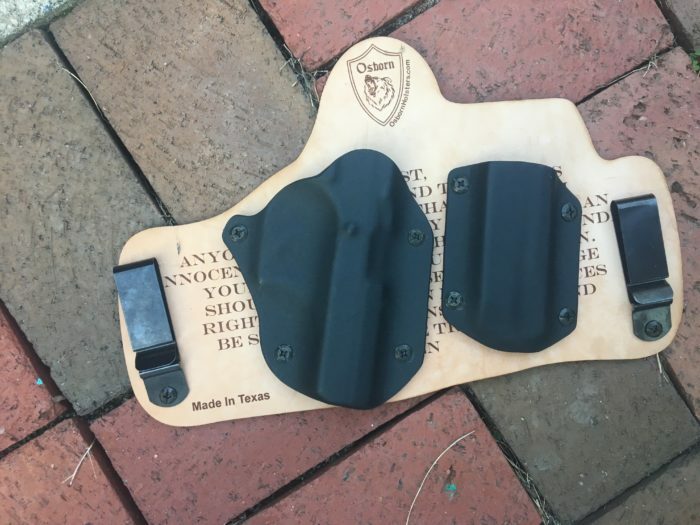 Here’s the other: when you take a particular holster with two-point retention and the ability to hold a spare mag, you’re talking about a pretty wide holster. I used their model instead of my own body for all of our sakes, but you get the idea. 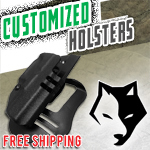 This a wide holster made for the carrier that wants the security of a spare mag ready to go. I’ve mentioned before in articles that personally, I generally only carry two magazines if one magazine plus what’s in the chamber equals a number less than 10. For me, this is a nice option, not a necessity, and I would likely use a TacticalTuck IWB standard if I were made to purchase just one or the other. 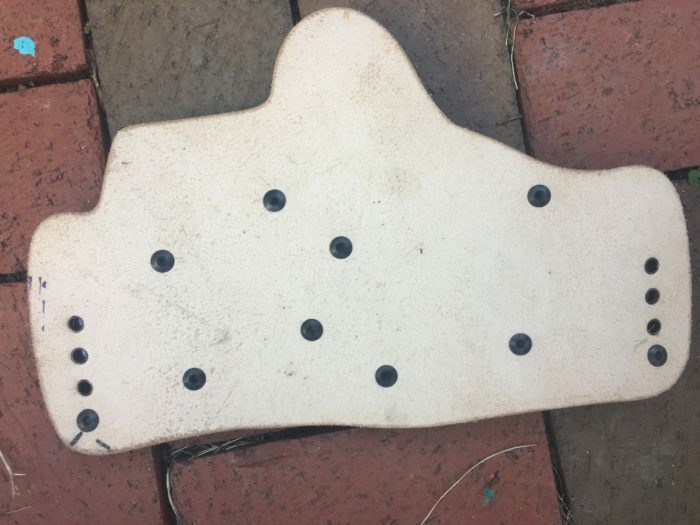 I know a lot of folks here that really like that spare mag, however, and if you do, this is the Osborn Holsters model for you. 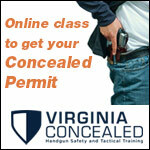 Osborn Holsters makes quality equipment for every carrier out there at an affordable price. 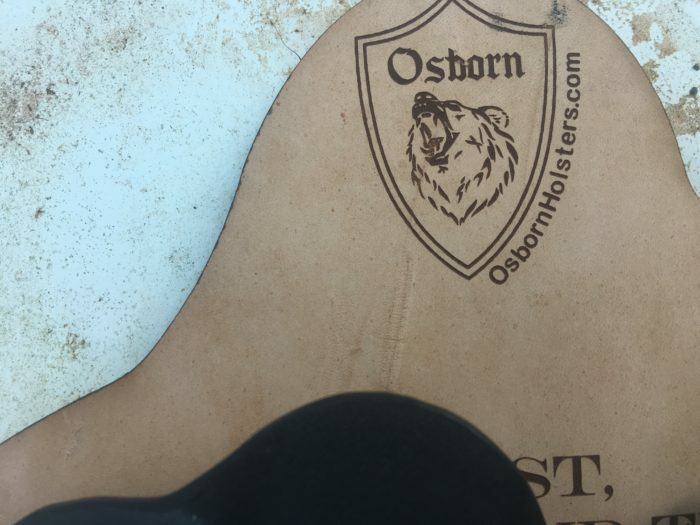 Osborn Holsters has quality people running their ship, and they’ll take care of you. The only reason this hasn’t become my primary carry option for my Tristar T-100 is because I’m already carrying another of their models, the OWB Slim. 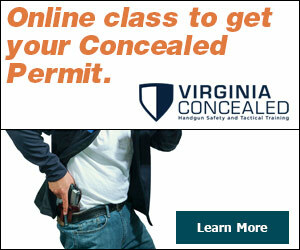 The link to their inventory is right here, people. Go improve your carry.